July 23rd and 24th saw Philadelphia sweat through the hottest weekend of the year. Just across the water, we set-up shop at the Camden Children’s Garden in support of WXPN’s XPoNential Festival. From Saturday through Sunday, we gave over 100 youth an introduction to music through our Instrument Zoo and Shaker Station. At the Instrument Zoo, children could try out instruments such as guitar, bass, keyboard and various pieces of auxiliary percussion (maraca, tambourine, etc.). A very special feature was a PVP Pipe Xylophone made by our very own Cameron Dewhitt. Beside the Instrument Zoo was the Shaker Station. Here, children could make shakers out of toilet paper rolls, raw macaroni and some creative spirit. The sun shone brightly on the early morning of June 10th. On that Friday morning, a van was packed outside an old church – Rock to the Future’s Headquarters – in the Fishtown / Kensington neighborhood in Philadelphia. Inside the van? All the makings of a rock & roll show—electric guitars, basses, keyboards and drums and seven young rockers from the Rock to the Future student house band eager to play. Over the course of the day, the van carried these young rock stars across new terrain, 440 miles to rock & roll’s greatest monument: The Rock & Roll Hall of Fame. The Hall represents one of the highest achievements a modern musician can obtain. After a seven hour trek, the seven rockers arrived at the Hall’s gates, ready to immortalize themselves in their own way. Rock to the Future’s House Band was a featured guest at the showcase, the lone representative of Philadelphia amongst a series of acts from all across the country. The set (listed below) spanned fifty years of rock and pop, taking the audience all the way from Barret Strong’s 1959 hit “Money” to The Black Keys 2012 jam “Gold on the Ceiling. By the end of the set, the house band stepped off stage satisfied—they had made themselves, Rock to the Future and Philadelphia proud before the massive Cleveland monument. The trip to Cleveland was highlighted by the house band’s participation in the Hungry for Music Showcase and instrument drive on June 11th. Hungry for Music, a Washington D.C.-based organization that provides musical instruments to those in need, has supported Rock to the Future since 2014, providing musical equipment like guitars, drums, keyboards, bass guitars and amps for the MusiCore after-school program, summer camps, and in-school electric guitar classes. Rock to the Future would like to personally thank Hungry for Music and the Rock &amp; Roll Hall of Fame for the incredible opportunity! We got glamorous at the Glam Rock-themed Music for All Ball benefitting Rock to the Future. On May 7th we got all dolled up and headed for the Mummer’s Museum for the Music for All Ball. This yearly event is a major drive for Rock to the Future, a 501c3 nonprofit organization. This sold-out event was attended by fans, friends, supporters new and old, and Rock to the Future students and nearly doubled what we raised last year (and 6x what we raised the first year!) Thanks to all of our incredible sponsors, staff, supporters, attendees, and everyone else who had a hand in making this 3rd annual event the most successful yet. Our goal of $30,000 raised was surpassed, as we hit $31,000 by the end of the night. Frank manages music education for over 250 schools in the Philadelphia School District. We would like to take this opportunity to thank him for his support of our MobileMusic in-school guitar programs at Hackett Elementary and Conwell Middle School and for his work in creating partnerships so youth can continue to learn music. We are so grateful for this successful partnership, we can’t wait to unveil future expansions in the coming year! Balancing a successful NFL career with intense charity work is no east feat, but Connor manages to do it all with a smile! 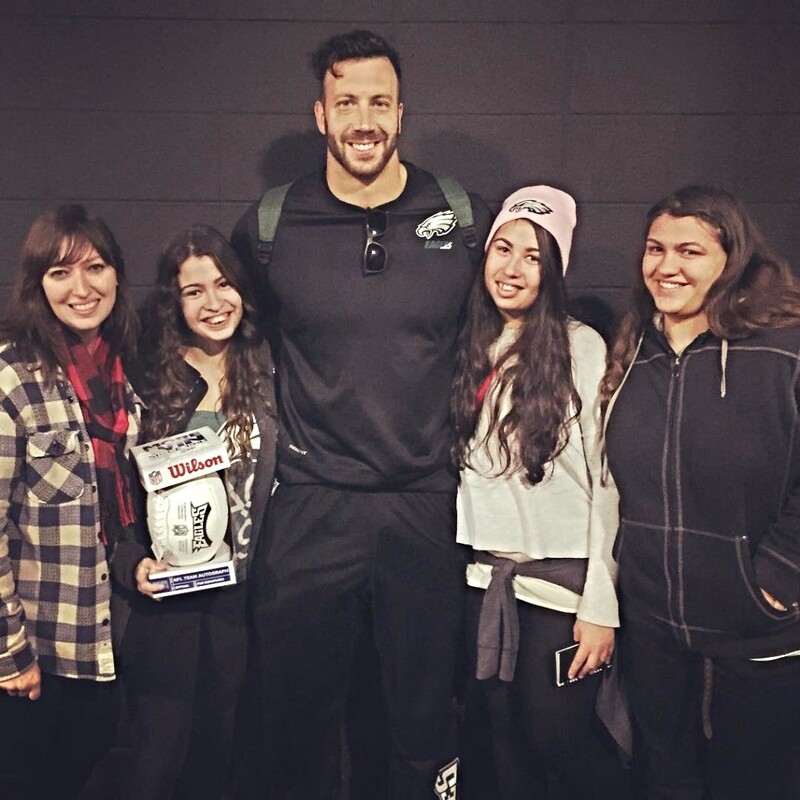 We thank him for his support of our mission to provide free music education in Philly, and for giving our students the opportunity to attend games and meet with him in person! In addition to his partnership with RTTF, Connor founded the Make the World Better Foundation (MWBF) which supports the community through arts, athletics, and environmental responsibility. &lt;strong&gt;Rock to the Future&#039;s House Band&lt;/strong&gt; recently opened for &lt;strong&gt;The Philly POPS&lt;/strong&gt; performances of The Music of Billy Joel at the Kimmel Center! These performances featured a selection of classic hits from The Beatles, The Rolling Stones, Hall &amp;amp; Oates, Jackson 5, and more! Sunday&#039;s performance featured a special collaboration with &lt;strong&gt;Tune Up Philly&lt;/strong&gt;, a youth program under the Philadelphia Youth Orchestra that teaches classical instruments to underserved Philly youth. Middle and high school students from Mariana Bracetti Academy&#039;s brass ensemble joined Rock to the Future for a classic rock and Motown collaboration! If you missed the performance, make sure to check out the video on our &lt;a href=&quot;https://www.youtube.com/watch?v=YkPWlFc7X_s&quot; target=&quot;_blank&quot;&gt;YouTube page&lt;/a&gt;. These performances demonstrate all musical genres have a place and purpose, and any style of music can greatly enrich the development of a growing mind. Music education fosters success in academics and in life! In the weeks leading up to the New Year, the staff of Rock to the Future were brainstorming new ways to showcase the amazing benefits of music education. The #rocktoMYfuture hashtag was created to showcase how music education affects the lives of children for the better and helps them succeed later in life, no matter what career they select. In mid-January we began sharing old photos of our staff and volunteers on Instagram, Facebook and Twitter using the #rocktoMYfuture hashtag. In the following weeks we moved on to student photos and their future career aspirations. Below are just a few examples of how music education can inspire youth to work hard and achieve their full potential! Rock to the Future’s program encourages students to work hard and set goals -musical or otherwise! Regina has been inspired by the program to pursue music and singing in the future. Learning music can drastically improve spatial intelligence, the the ability to perceive the world accurately and form mental pictures. This skill will come in handy for Jaden and his future clients in his future real estate career. Rock to the Future aims to enrich the artistic spirit of every student! Richard is very interested in visual and performing arts and hopes to pursue a variety of subjects in the future! Learning music develops a sense of craftsmanship and the ability to accept constructive criticism; students learn how to critique their own work as well. Riorden hopes to utilize these skills he learns at Rock to the Future as a successful novelist! Music and art programs foster an interest in culture and give students the opportunity to see how culture and art are related. Sanaayah has developed an interest anthropology, the study of humanity and culture, and hopes to be a forensic anthropologist in the future! By studying music and the arts, students exercise their creative skills and learn to think outside the box. Natalia has already started using these skills on Youtube, and hopes to someday produce videos as a career. Rock to the Future encourages students to explore a variety of career options, although we love it when the program inspires students to pursue music! Jamiyah sees singing in her future! Learning an instrument exercises a student’s memory; memorization skills are very helpful in academics and beyond! Lewis hopes to be a zoologist in the future and will need to remember countless scientific names for animals! Studies have shown that students who study music display improved math skills. Music theory includes several mathematical elements and involves using multiple cognitive processes simultaneously. As a future aerospace engineer, Gerry will need to take rigorous math courses in college. Jenna hopes to be a vet tech or fashion designer. Through music, Jenna motivates herself to work hard at everything she does! Zylan has been inspired to pursue music, rock music of course! He is currently part of a band and is well on his way to achieving rockstar status! Our staff and volunteers demonstrate how music education and supportive environments can lead to a successful future. One week we featured (from left to right) board members Levi and Bill, and volunteer Adam. Levi had the opportunity to learn an instrument in a supportive environment, and as a result he developed a great appreciation for music and art. Today, he is the Director of Business Operations for The Center for Art in Wood, as well as a RTTF board member. Pictured above is Bill Mecaugey (a RTTF board member) at age 15, recording on an old-school reel-to-reel. Today, Bill has a successful career in business and finance, and continues his love of music by supporting Rock to the Future and our mission to provide free music education to the next generation! Pictured on the bottom right is our own Adam Rivera with his family Growing up, Adam had big dreams of becoming a musician and he has certainly achieved them. Adam has has worked as both a volunteer and staff member for Rock to the Future and has proved to be a vital asset to our program. Jessica and Josh Craft, our Founding Executive Director and Program Director, respectively. Howdy Partner! Believe it or not, this is our very own Program Director, Josh Craft! Josh participated in music and theatre programs as a kid, and developed a passion for teaching performing arts. Today, he organizes the musical aspects of our program, and insures the program is as fun as it is educational. Pictured on the right with her sisters is our very own Founding Executive Director, Jessica Craft. Growing up, Jess and her sisters were involved in music programs, marching band, and drumline. Now she leads the charge in the fight to keep music education available to all of Philly’s youth! Rock to the Future firmly believes arts programs are a necessary element of a well-rounded curriculum. Not only do we offer free music education, we offer a safe and supportive environment for our students to learn and succeed despite life’s many challenges. Sam Villanueva, 15 years old, is one of our many students who has benefited from our multi-dimensional program. Sam’s musical abilities have grown tremendously at Rock to the Future. He began with guitar 4 years ago and switched to his preferred instrument, piano, after 3 years. Although Sam joined at 11 years old, his love for music began at an even earlier age. Growing up in a very musical family, he was exposed to a variety of artists and genres. He names his grandfather (Pop) and uncle, both self taught musicians, as his biggest musical influences. A fanatical Beatles fan, Sam’s grandfather would often teach him parts of his favorite songs. Unfortunately Sam’s grandfather passed away, but he left Sam a lasting passion for music. Although Sam misses his grandfather greatly, he finds comfort in one of his grandfather’s favorite songs, “Strawberry Fields” by the Beatles. Played at Pop’s funeral, the song has a strong sentimental value. “I feel like when I listen to it the memories we shared with that song are still there.” Through music, Sam is able to celebrate his grandfather’s memory and maintain a positive outlook. 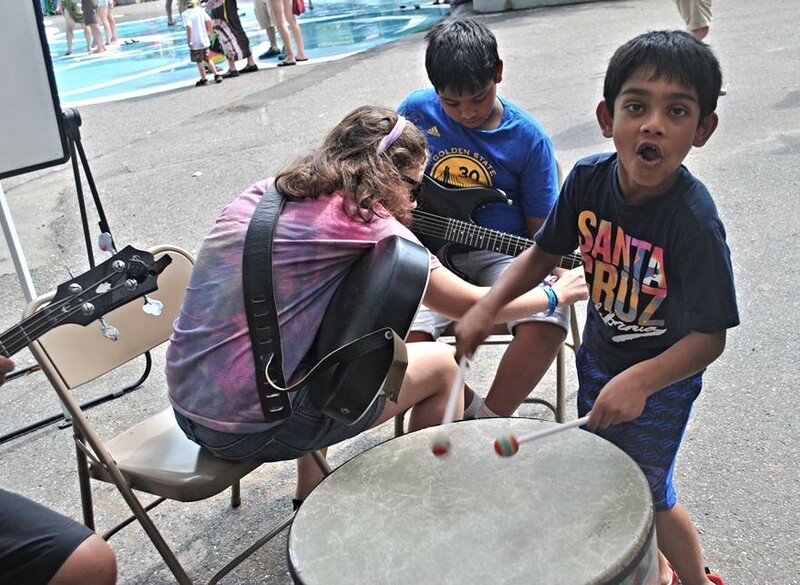 You can give the gift of music to students like Sam by supporting Rock to the Future and our mission of providing free, contemporary music education for underserved Philadelphia youth. Give the gift of music today to inspire a youth for a brighter tomorrow! Sam's guitar playing days. Since then he has added piano to his repertoire. He has come so far! Here at Rock to the Future, we strive to inspire passion for music and education. One of our many successes is 17 year old Lily Albright. Here is her story. Lily’s story is a prime example of how music education can drastically improve an adolescent’s life. For years she struggled in school due to ADHD and dyslexia and experienced delays in her reading abilities. Lily expressed interest in music at an early age and at 10 years old began learning how to play the guitar through a family friend. In 2011 when she moved on Philadelphia, Lily joined Rock to the Future. At the time, she was enrolled in an online educational program and had difficulty feeling motivated and keeping her grades up. Since joining Rock to the Future, Lily has seen several academic improvements. “I came here mid year, I was really behind and they caught me up. I didn’t have to repeat freshman year and now I attend a private Catholic vocational school,” Lily said. She is now studying cosmetology and makeup artistry at her current school and is on honor roll. L ily has also grown tremendously as a musician in her 4 years at Rock to the Future. With the aid and support of Rock to the Future staff, volunteers, and peers she has expanded her talents to also include singing, bass, and drums. She has recently won the national scholarship to attend the Crown of the Continent Guitar Workshop in Montana where she opened for Dweezil Zappa. “There were only 8 scholarship students from all over the world. I was the only girl, and I was the youngest. That was really cool,” Lily said of the experience. Her phenomenal achievements during the workshop led to a $10,000 scholarship for Berklee College of Music’s online program, in which she is currently enrolled and taking college courses while still in high school. You can give the gift of music to students like Lily by supporting Rock to the Future and our mission of providing free, contemporary music education for underserved Philadelphia youth. Give the gift of music today to inspire a youth for a brighter tomorrow! SAVE THE DATE – 9/19/15! The Office of Arts, Culture and the Creative Economy’s announced the Performances in Public Spaces program this past February and Rock to the Future was fortunate enough to be one of the 23 grantees selected from more than 180 applicants! Performances in Public Spaces is funded by the Mayor’s Fund for Philadelphia and the National Endowment for the Arts. We are so excited to be teaming up with Clark Park Fest this year to create a truly special community event – with lots of live performances from diverse local acts, kids music activities and more! The goal of the Performances in Public Spaces is to create a sense of community within Philadelphia. The performances are to provoke conversations about art in our city. 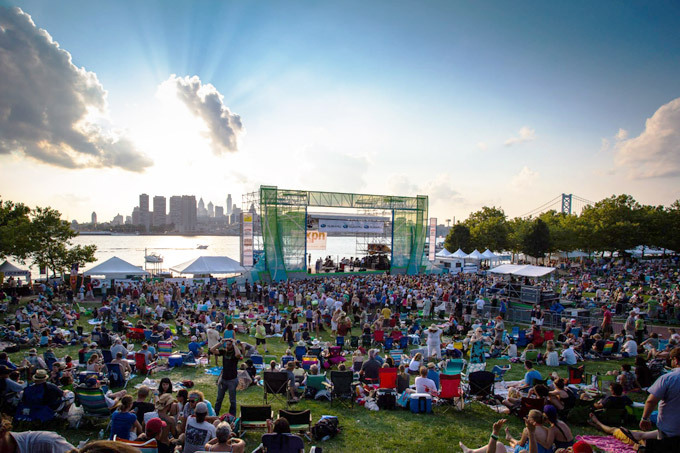 With this exciting collaboration, Philadelphians will get a chance to see their city in a new light and hear new artists with different styles while bringing a sense of community to their local parks. “We hope that this program will demonstrate the breadth and vitality of Philadelphia’s artistic community, encourage people to explore their interests in performance art and inspire continued creative use of public spaces beyond this program” said Mayor Michael Nutter. SO SAVE THE DATE FOR SEPTEMBER 19th!! Exciting announcements will be released between now and the festival so please follow us on social media using the links below to get all of the exciting news and updates on our programs and events!